Would you every wipe a baby’s bum with a dry tissue or cloth? Of course you wouldn’t. We make sure that we keep our baby’s bums clean and soft. We don’t say as soft as a baby’s bottom for nothing. It’s because we know the bum is a sensitive area and needs to stay clean. 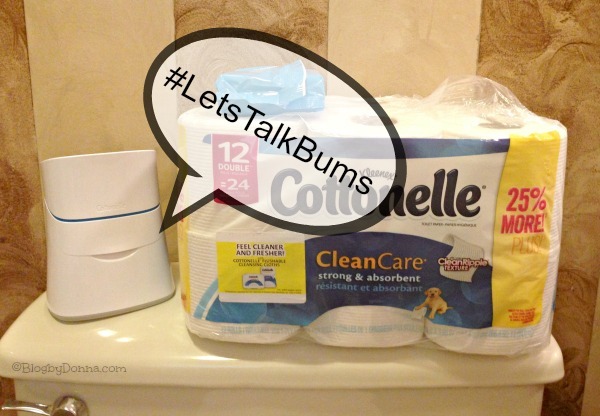 So… why is it they we wouldn’t continue to treat our bums the same way as we get older? I say we still deserve to feel as fresh as a baby’s bum. I use Cottonelle toilet paper and Cottonelle Flushable Cleaning Cloths in my bathroom routine to keep my bum clean and fresh. I also make sure to have Cottonelle in my son’s bathroom. Boys really need something extra to make sure they have a clean bum. It’s just a fact. One thing we all use every day is toilet paper, so finding this great Cottonelle coupon was nice. If I can save money on toilet paper and cleaning wipes, I am so on it! Be sure to visit the Cottonelle website and give the Cottonelle Flushable Cleansing Cloths and Cottonelle Clean Care Toilet Paper (wet+dry system) a try by downloading a $1.50 coupon, NOW! What kind of bathroom routine to you have in your home? I like Cotenelle,and the wipes are great too. I have used Cottonelle toilet paper and wipes before. We tend to have Huggies wipes on hand since we still use them on our youngest. my husband swears theresx a huge difference between toilet paper and ive never understood it. i use cloth wipes for my kids, but hubby wont let me use cloth tpoilet paper. what other brands have youtried? I love Cottonelle, they make the best tissue. I love these wish they came in different scents. something softer or unscented for us. I do love the cleaning cloths, they just help you feel so much more fresh! 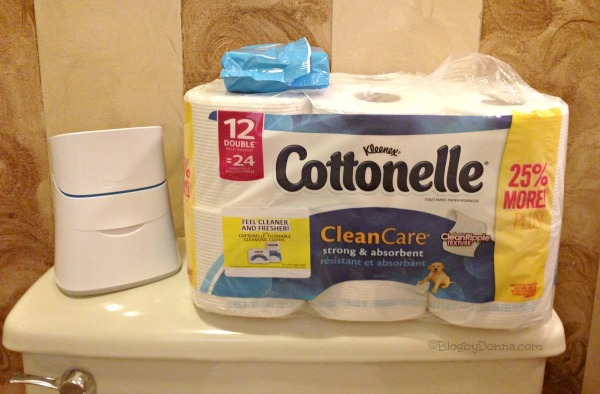 We love Cottonelle but haven’t tried their wet wipes yet! I bought an off brand of TP that was on sale and I hate it. It will be back to Cottonelle next time I go grocery shopping. I keep joking with my mom that their house is BYOTP because my dad buys junk. Maybe I’ll give him some Cottonelle for Christmas! I love Cottonelle toilet paper and am an even bigger fan of their flushable wipes. Both are household staples around here!